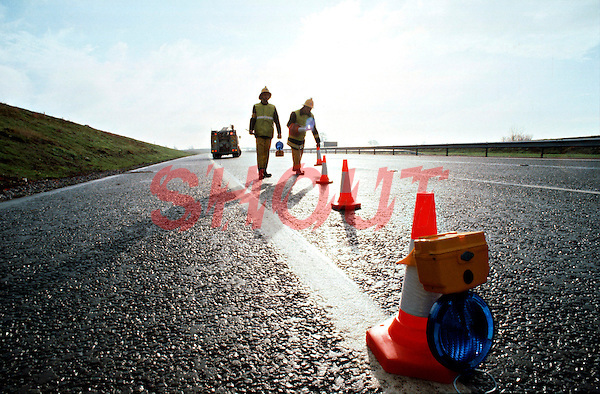 Firefighters laying cones to close off a motorway following a road traffic accident...© SHOUT. THIS PICTURE MUST ONLY BE USED TO ILLUSTRATE THE EMERGENCY SERVICES IN A POSITIVE MANNER. CONTACT JOHN CALLAN. Exact date unknown.john@shoutpictures.com.www.shoutpictures.com.